Using the Clipboard Recorder you can quickly insert data from a drawing program like OmniGraffle (on the Mac) into your ScreenSteps lessons. 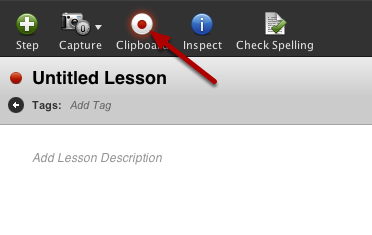 Click on the Clipboard Recorder button to turn on clipboard recording. The button will flash red when clipboard recording is activated. 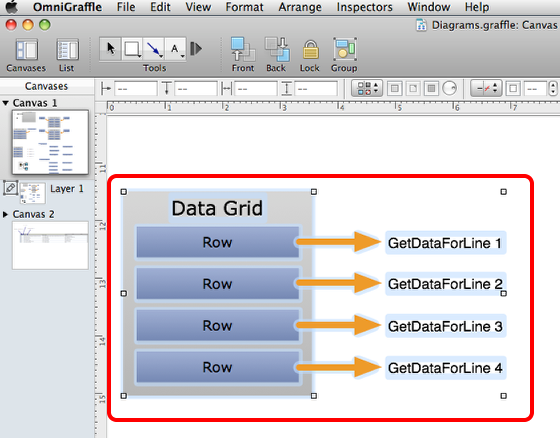 Switch to OmniGraffle and select the objects that you want to import into your ScreenSteps lesson. 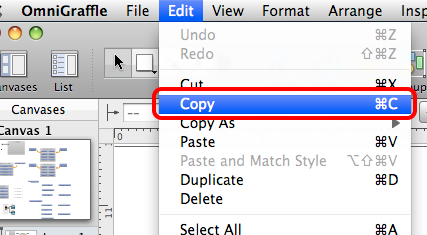 Now copy the objects to the clipboard using the Edit menu. 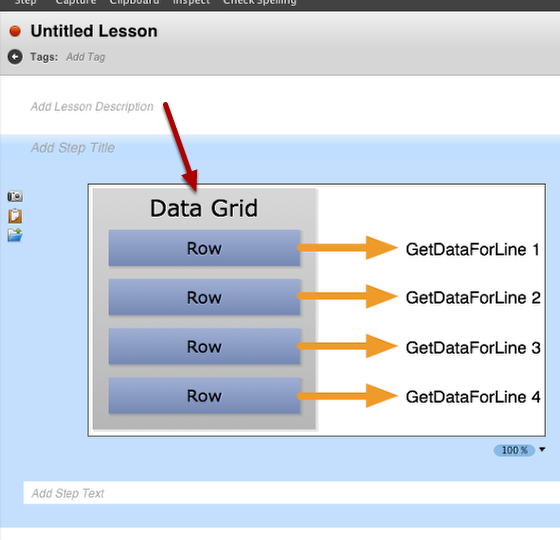 Because you are recording the clipboard the image that OmniGraffle placed on the clipboard was imported into your ScreenSteps lesson. Prev: How Can I Start A Sequence Annotation On a Number Other Than 1? How Can I Start A Sequence Annotation On a Number Other Than 1?